Leads are the lifeblood of the real estate industry, yet being a lead can often times feel like the life is being sucked out of you. For those on the receiving end of dialing-for-dollars tactics, endless mailers, and social media advertising, it can really fatigue the reputation of the industry. However, there is hope! Before we talk further, I am not advocating dumping drip campaigns and (dare I say) door knocking but I instead intend to promote the benefits of consumer-oriented marketing, using social media as a means to provide content to the world (not just ads), and re-thinking lead qualification.n. Every agent knows the routine with expired listings. Track them via the MLS or buy them from services such as Vulcan7 or REDX then dial those leads until your fingers bleed. For agents, this can be a very high ROI lead-generation machine and clearly falls into the quantity bucket. According to Landvoice, conventional lead-generation techniques such as Facebook ads carry a conversion rate of 1–3%, whereas they tout multiples of that with expireds but caution it’s hard work. Why? Because besides having to confirm with your MLS the rules regarding calling on or reaching out to expired listings, done poorly it is incredibly invasive and spammy. It is not uncommon for sellers to get bombarded with mail and phone calls the day their listing expires. While true that these are likely motivated sellers who may be open to re-listing with a new agent, from their perspective, being cold-called is less than a thrilling experience. As an industry, it can do better, and it starts with conceptualizing your marketing efforts not through the lens of the agent, but through that of the consumer. In comes inbound marketing. We’ve previously talked about inbound marketing strategies (here) and in that piece you’ll understand the value of inbound marketing relative to more traditional outbound marketing (as well as a plan to execute a great inbound marketing strategy). 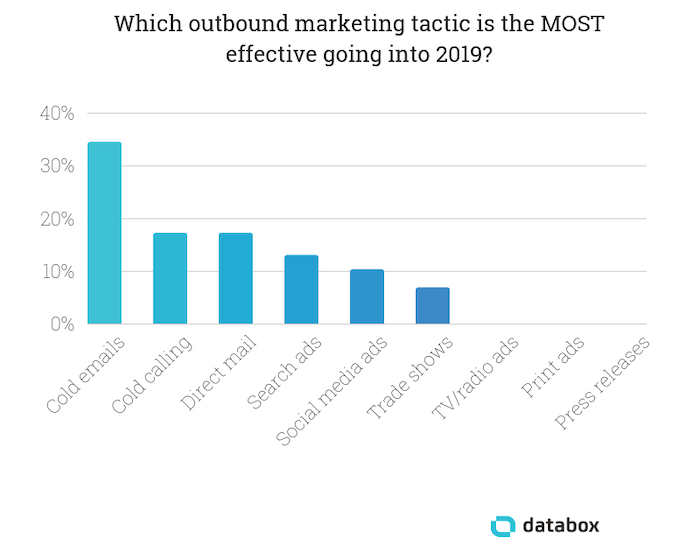 As a quick summary, outbound marketing generally covers more traditional techniques focused on pushing out to consumers your product, which in this instance is you, your service, or your listings. Inbound marketing, on the other hand, is about bringing consumers to you through meaningful, insightful, and engaging content. This helps develop and promote your brand, establish a presence in marketing channels, and ultimately establishes trust to the point that when a consumer is to make a decision, they think and choose you based on your content and reputation. As an example, think of your YouTube subscriptions. In the past, I rarely subscribe to a channel at first, but often I stumble across a helpful video (generally golf instructions…) and then I see another video a week later by the same pro, and after a few more I hit ‘subscribe’ and come back as more content is produced. Eventually, when I’m ready for a lesson, who do I go to? That is precisely the goal of inbound marketing. This is a significant departure from how lead-generation is done in real estate traditionally, and the downside is it takes time. Blogs can take months to get traction (we know), writing content is hard (we also know), carving out a niche is challenging, and balancing inbound with outbound marketing takes more effort. The optimal marketing strategy likely contains a mixture of both methods. This is because in order to close a client, it takes nurturing, which means initial awareness of who you are and then being able to evaluate you. The initial awareness stage is where outbound marketing can still work well as a compliment, but falls short when it comes to consumers being able to meaningfully evaluate your services and offerings. Inbound marketing presents solutions, engagement opportunities, and positions you firmly in the mind of the consumer. There are many opportunities for introducing inbound marketing. Let’s look at Facebook as an example of how to do inbound marketing right given it’s wide adoption among agents for lead generation. Most agents who use Facebook focus on quantity metrics that do not drive real engagement. These are the likes, boosted posts, ads, and whatever else Facebook is cooking up these days in the vanity column. While the company has been under pressure recently for various reasons, it can still be a valuable channel for agents who can create new and original content. Videos on YouTube that can be embedded and shared across Facebook can be a jumping off point for a discussion, blog post, eBook — you name it. Similarly, Instagram allows you to share short stories and really promote your personal brand through engaging and light-hearted content that can resonate with a younger audience. Keeping it professional is also critical. If you don’t think prospects who are interested in working with you are researching you on social media, think again! It is safe to assume the average consumer in your target audience is interested in real estate, so provide them content that continues to pique their interest. This includes more than your active listings. Promote original content regularly that cater to home buyers and sellers and use Facebook’s advertising machine to include calls to actions (i.e. buttons that collect and email and lead them to your blog/website). When running ads, promote yourself and what makes you a great agent and forget going for likes, go for content and drawing consumers back to more content. Focus, focus, focus on value. What do consumers need from you? While there may be a natural tendency to try to write and promote about everything across a buying or selling transaction, what niche or topics can you focus on deeper to become an expert? These are subtle shifts that start to focus less on you and more on the consumer. It’s about establishing trust and being seen as an authority in your domain. This is why at Homebloq we look not only for agents to promote who are top producers, but also active in their association, content generators, understand the value and role of technology, and are willing to be flexible when it comes to meeting a client’s needs. Quality has much more to do with than your current listings and past transaction volumes to consumers. Does the average consumer understand a bus bench ad that has your sales volume listed? Do they know if $60M in sales last year is good? Do they care? A second major area of opportunity for brokers is in lead qualification. Companies and offerings like OpCity, Premier Agent 4.0, and others that intercept and/or buy leads and then spam (I mean, create thorough touch-point plans) consumers hardly do the industry a favor. Do they work? Yes, they do, which is what makes branching out to alternative methods challenging. Do they result in loyalty and repeats? I’d argue less so. Are they high ROI? Definitely not. There’s nothing worse than feeling like you are being inundated with unwanted sales calls. OpCity promotes their call center gets ahold of a lead on average within 4 seconds of first contact. Four seconds! You think walking into a car lot and being pestered by a sales person is invasive? Beyond that, they have a twenty-six touch point program. Do you wonder why the industry has a reputation for not earning that commission check? Look no further than consumer’s recycling filled with mailers or their spam inbox growing with new listing alerts. What does lead-generation look like if consumers built it? Taken as a percentage of all available methods, cold-calling, drip campaigns, and mailers would take up less than 5%. The remainder? A mix of bookmarked blogs by agents who routinely write about the market, the ins-and-outs, ups-and-downs of home buying and selling, and a way to browse and compare local agents without needing to fork over personal information and being bombarded by call centers. This is a service industry and those that routinely promote guidance and advice will win marketshare in the minds of consumers. Unfortunately, lead-generation companies are incentivized to promote quantity over quality, and given they are most commonly paid through a percentage of the commission, there is no real consideration against passing as many leads to brokers as possible. Consumers are fed, churned, and burned. At Homebloq, we’re attempting to do lead-generation differently, and more thoughtfully. We help promote the brokers in our community and provide them with an MLS-powered and intuitively designed search tool. When consumers are ready to find an agent and need help, we not only provide educational resources but enable them to freely and easily browse agents on our site and connect with agents with whom they choose. We facilitate the connection and encourage consumers to connect with a handful of agents to interview and better understand their workflow. It’s pressure-less. It’s also less quantity, but we intend to target higher quality. What’s the point of all this? To promote the idea of consumer-oriented lead generation in order to help brokers more thoughtfully engage with consumers. Pivoting your marketing by thinking through the lens of the consumer challenges the status-quo, but is that not what great marketing is all about? Consumer-oriented, or content marketing, generates 3 times as many leads as traditional, outbound marketing and costs 62% less. To capture more leads means generating more quality content to attract an audience. To do this, however, means understanding exactly how and what to market. The below are the basics of content marketing strategy geared towards real estate. Quality content means information that adds value to the audience. Here again it is important to reiterate that this is less likely to mean active listings and more likely to mean guides and advice. The good news is the web and your competitors are likely filled with low quality content marketing that doesn’t achieve success, so there is ample opportunity for you to stand apart. The first step is to understand your audience. This means not only demographically and what content interests them, but where are they looking for it? It’s important that you post content along their ‘decision journey’ — the places in which your content is most likely to be seen by consumers. Facebook is an obvious example these days, but where else could you place your content? What are home buyers and sellers looking for, reading, visiting, listening to, and more? Content comes in many shapes and sizes. Increasingly, long form content (2000–3000 words) on well researched topics generates more value and attracts a larger audience. So forego the quick hits and top ten lists in favor of more in-depth pieces. This is likely due to the relationship between high-value content and sharing, which leads to more links to your content across the web, better SEO, and ultimately back to more traffic and users. More traffic means more leads. So writing longer pieces matters. Does that mean you should simply write longer sentences? Of course not, it means generating more thoroughly researched pieces. This means picking topics that both you know well and that your audience is seeking. Are you an expert of design? Marketing? Rehabbing kitchens? What niche can you carve to become an authority on? 1. They solve a real problem: These are vanity pieces or market updates. This is an in-depth piece that is the most common problem your audience faces. There are lots of topics in real estate worthy of coverage — and it starts by listening and understanding the issues your audience faces and providing a solution. 2. They are highly targeted: While it may be tempting to try to reach the broadest audience possible, focusing on a more narrow subset will likely lead to fewer, but more engaged followers. Be specific in what problem you’re solving and your solution. Do not attempt to solve every problem or present every solution — deliver value by creating something that contains actionable insights. The good news is starting a blog and content marketing strategies often only costs you your time. Blog services like Wordpress and Medium making starting a blog costless. Feedly can help generate content ideas, Sniply assist in drawing readers back to your site, Hootsuite helps you schedule your content, and Mailchimp can help maintain contact lists, create sign-up forms, and generate newsletters. Within your blog and content, be sure to focus less on outright advertising your services and more on providing value. However, promoting your services within a blog post can be an effective way of nudging your audience to subscribe, reach out, or sign up. You should always include a “sign up” or “subscribe” button within your content or on the page to make it easy for consumers to do so, and always remember to market your magnet within other content. Successful inbound marketing takes much more time and effort, but is ultimately a more rewarding investment. By taking the time to better understand your audience, delivering highly valuable content, and delivering that through a well throughout-through strategy, you can expect to generate more leads and more business.